Life is as unpredictable as anybody can think of it and imagine it to be so make sure to get all those benefits out of it and never put yourself into regrets. Buy the clothes you want for yourself, eat the food you like, purchase whatever makes you happy, get yourself trendy accessories, and use the phone that’s upgraded and updated. Because one should always run and move with time. People walk over those who are backward and conventional, so always be the best of kind that everybody would like to hang out with, don’t be among those who are into self-pitying and get yourself all those luxurious things that make you stand out. At first it was about your shoes/clothes which people would ever notice but now it is not about apparel that you carry but your smartphone defines you now. Your phone reflects who you are and what your current choice is. Your smartphone shows your class and style statement. The more tech freak you are, the better you will get mingled with tech-minded people. The more you snob about your stuff the better you move about in the society. But for me, one should not put up a fake show, rather get something and stay contended with it. Besides, if you have saved some pennies for yourself then you must spend them on your lifestyle because at the end of the day it is only you who matter the most in your life. Please yourself because you deserve so much more in your life. Let us throw a bit of light on what’s the talk of the town. 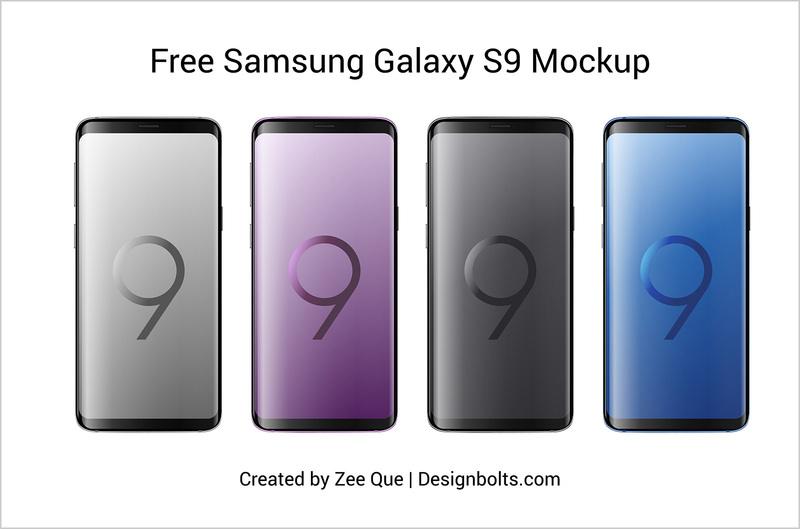 Down here I am putting forward free Samsung Galaxy S9 & S9+ mockup that can be implied in personal or commercial projects. You will see a massive upgrade in both the phones, they are better versions of the previous smartphones’ Samsung series. Certainly worth buying because of their sophisticated body structure, elite colors, fancy features and for awesome camera technology. 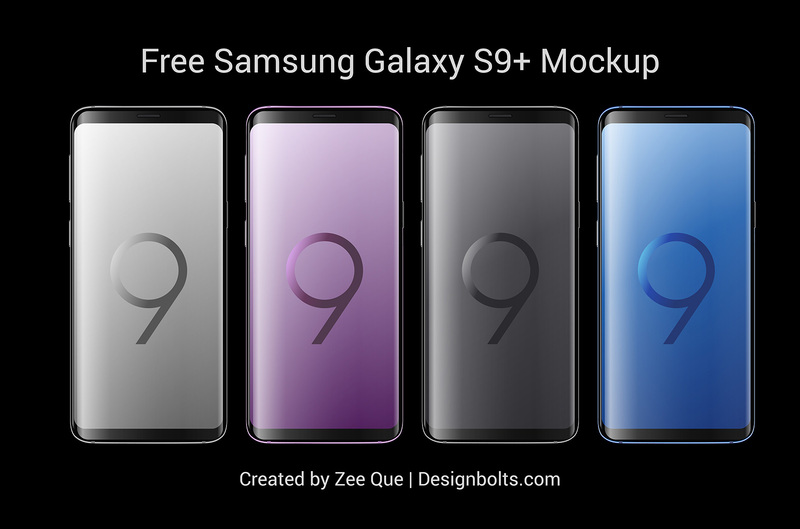 Yes, Samsung has nailed it again, and every color has an oomph factor in it. What do you guys think about these new models in town? Are you guys going to give them a go or not? Do let us know about your feedback. Stay tuned for some interesting geek posts and design collection in future as well. Here we go.